After an epic and interrupted journey all the way from the snows of South Dakota, Jack Reacher has finally made it to Virginia. His destination: a sturdy stone building a short bus ride from Washington D.C., the headquarters of his old unit, the 110th MP. It was the closest thing to a home he ever had. Why? He wants to meet the new commanding officer, Major Susan Turner. He liked her voice on the phone. But the officer sitting behind Reacher's old desk isn't a woman. Why is Susan Turner not there? Will he be sorry he went back? Or - will someone else? Second listening and loved it again! 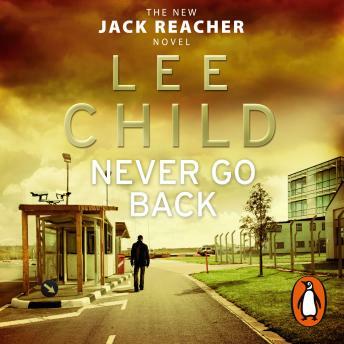 A compelling tale, high adrenaline and sometimes a little fanciful but the outcome is assure Reacher triumphs but the path to that has its of twists & turns. The recording was variable but the narrator is good.